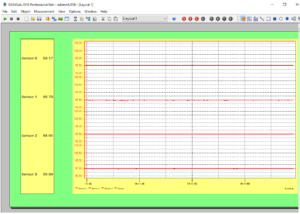 Make a Virtual Temperature Chart Recorder in Minutes - Robert Owen Inc.
DASYlab is s quick and easy way to build data acquisition systems without programming. It is a user configurable application with plenty of customization capability. 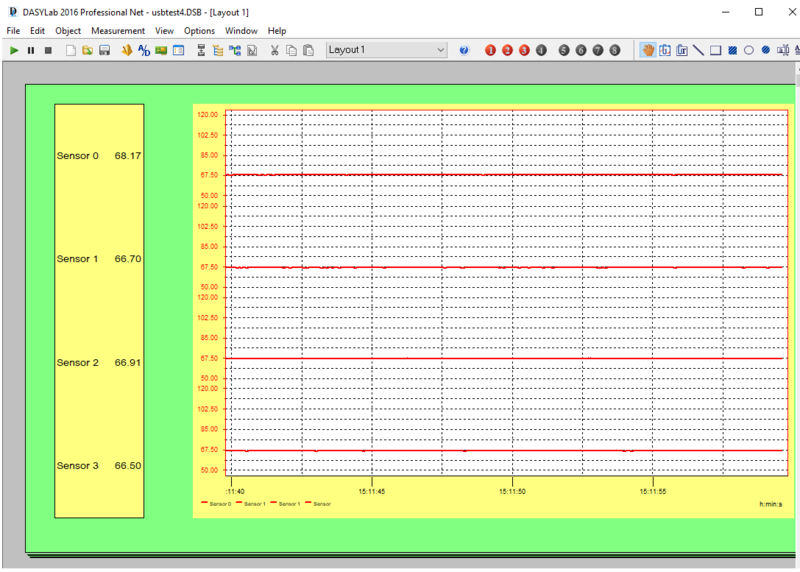 A very simple application that meets a lot of requirements is a simple 4 pen virtual temperature chart recorder. This is a simple application that can be setup in minutes using the DASYlab. From the DASYlab module bar an input module, a chart module, and a digital meter module are simple selected and dropped into a blank worksheet. Making the software connections is simple, as you draw wire connections between each module for each sensor. With just a little setup time it was simple to create a data acquisition program that looks like a classic 4 pen strip chart recorder. DASYlab handles the connection of the readings, the meters, and the graphs. No programming is required. For data collections applications that need to get quick results, time is critical. This solution allows you to get on with your work, without making a separate project out of the recording program setup. The ROI-USB handles the connections of the sensors, & the PC powers everything. 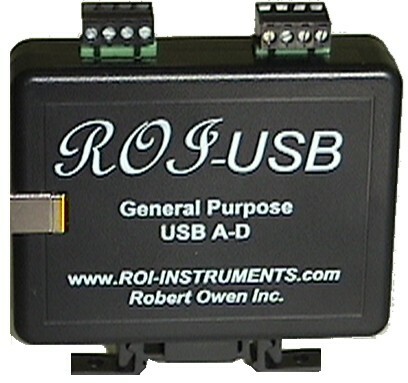 No separate power is needed when using the ROI-USB-Thermistor, to read temperature sensors. Thermistors area great way to read temperature, simple to connect, accurate, and readily available. The 10K NTC thermistor is an industry standard way to get accurate measurements. Here’ a link to a read more about readily available thermistor. Use this link to learn more about ROI-USB sensor measurement solutions.